Last week, when dropping off copies of our Empordà guide, we stopped in at Mas Molla in Calonge (Baix Empordà). 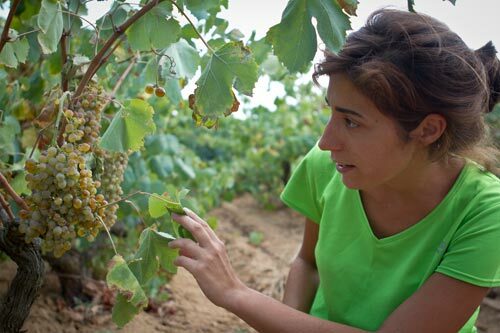 As things go, we got talking with the current family winemaker, Montse Molla about local grape varieties. She then took us on a tour of her vineyards around their ancient family home to see for ourselves. It was then that she first introduced us to Colló de Gall or literally, Rooster Balls (no, not cat balls, that’s another one.) Named as such because… they’re a bit red and round? They really have no idea as to the history or the exact origin of the name. And don’t even ask what it’s related to. 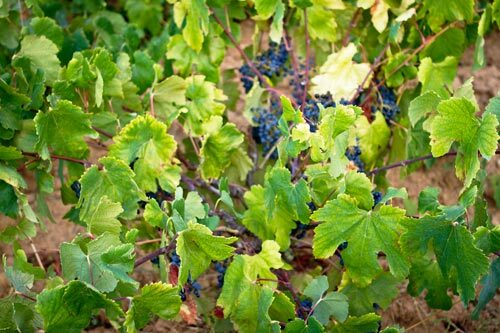 Of course, this is typical for local grapes like these that aren’t even officially permitted grapes to grow in the EU. They’re just old and their non-trellised bush vines keep producing grapes, so they keep using it. But, Rooster Balls is a minor grape when compared to their Jaqué. We walked out of the Rooster Ball vineyard (which also has their Xarel·lo and Piquepol grapes in addition to others) down along the tan, crumbling soil until we arrived at a vineyard that looked like a movie set made up to look like a Roman vineyards. You see, they grow their vines in the “cup” formation wherein they trim the vines to form branches in a radiating pattern that balances weight out from the center. So, you end up with these short bushes with large clusters of grapes hanging out as if someone hung them there. The leaves naturally shade them and they have enough exposure to the winds to stop mildew. 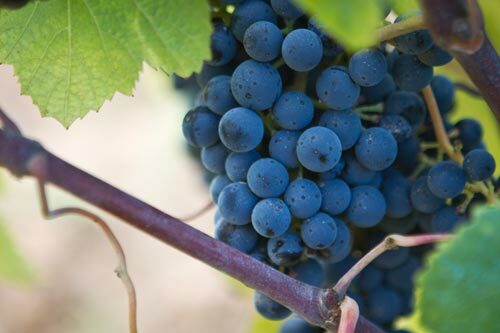 The way they grow these vines is essentially perfect to balance production with nature, but most modern wineries don’t do this as the yields are relatively small, along the lines of 2kg of grapes or less per vine. In other words, it’s not a terribly profitable way to make wine unless you charge a fortune for it like Castillo de Perelada’s Finca Garbet which is also from low production vineyards on the coast, although is a completely different wine. The Jaqué vines are quite happy growing like this in Baix Empordà for centuries as they’re resistant to phylloxera. 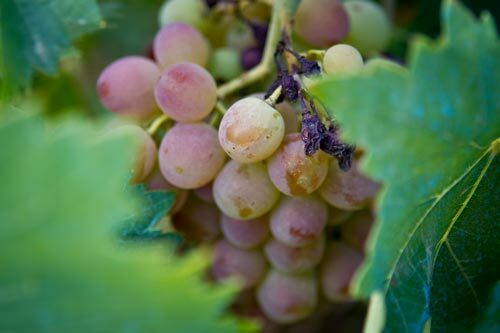 The bug still affect them though as Montse showed us with some 60 year-old vines that they had to tear out because while heavily resistant, the roots of the vine still get attacked, they take decades to eventually die unlike other European grapes that croak in one season. These days, they’re planting on American rootstock like all of Europe. As a side note: it appears that winery dogs love playing fetch with dead grapevine roots. All of the vi de pagès wines they make from these vines are ultimately interesting in that they have good years and bad years–like wine used to be. For anyone in the area, we highly recommend a visit to remember how we used to make wine before the invention of stainless steel tanks. Also, due to their lack of steel tanks and unregulated production, you’ll only be able to taste the wines at the wineries.